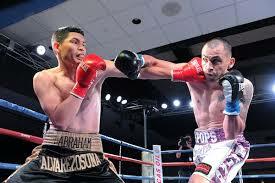 Jason Pagara opponent's for Pinoy Pride 37 was already named, he is Abraham Alvarez of El Rosario, Sinaloa, Mexico. Pagara the super lightweight fighter from Cagayan de Oro City, Misamis Oriental, Philippines, has an impressive record consisting of 38 wins including 23 victories by KO and has 2 defeats. He is the current no.1 contender for the WBO title, but he was also bit falling down in the ranking on boxrec. He was ranked 44th before but now currently down to 62nd.. The 24 years old boxer Jason Pagara is a very technical fighter with power in both hands. He is the current WBO International super lightweight champion. Pagara last seen fighting Miguel Zamudio and win via unanimous decision last April 2016. On the otherhand, Abraham Alvarez is a 28 years old boxer from El Rosario, Sinaloa, Mexico. Not a very popular boxer unlike Pagara but he is willing to get an upset win on July 9th. Alvarez holding a professional record of 21 wins including 10 victories by way of KO and has 9 defeats. Alvarez last fight was a victory against Jonas Olivas last June 11, 2016. Jason Pagara vs Abraham Alvarez will be telecast via satellite by ABS-CBN channel 2 on July 10, 2016 (PHT).